I always get excited when the end of school rolls around. While it can be a little overwhelming at times with all of the activities, meetings and events it also means that things like Teacher Appreciation Week, end of school activities and our annual last day of school party aren’t far behind. Over the years I’ve created lots of fun teacher appreciation gifts and this year I decided to break out my Cricut Maker to create this special DIY Teacher Appreciation Pennant Banner. 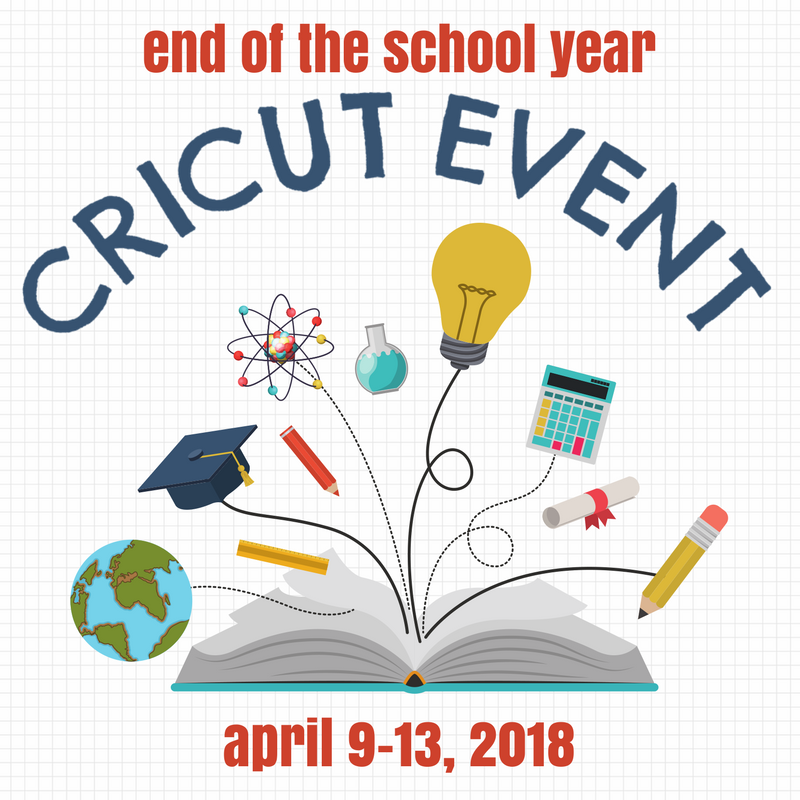 I’ve also teamed up with some of my fellow bloggers, who love their Cricut as much as I do, for a fun End of the School Year Cricut Event. Make sure you keep scrolling to the bottom to see all of the creative projects these talented bloggers have created to celebrate the end of the school year. I thought this DIY Teacher Appreciation Pennant Banner would be a fun addition to any teacher’s classroom, and it’s a quick project you can complete in less than 30 minutes. Before you get started creating this cute little banner you will need to open up Cricut Design Space and the free DIY Appreciation Banner design file. Use the rotary blade to cut out the canvas banner. Then switch blades to the fine point blade and cut out all of the iron-on pieces. Fold over the edge of the canvas banner 1/2″ and use the EasyPress to press it. I used my sewing machine to stitch up the edges, but if you don’t have a sewing machine or want a quicker solution you can either leave the edges raw, or use a hot glue gun like I did when I made these mini banners. Place the iron-on design on the banner and center it. Since this is a layered design you will need to start with the red layer first. Then overlay the black layer and finally the pencil layer. Use the EasyPress to secure the design to your canvas banner. Peel back the protective layer to reveal your iron-0n design. Trim a dowel rod to fit your banner, you’ll want about 1/2″ – 1 1/2″ on each side. Then, wrap red Baker’s twine around the dowel rod on the left side of the banner. Then loop it around to the right side and wrap it around and tie a knot. Step back and admire your beautiful new Cricut project and decide which lucky teacher will receive this fun gift! I have always believed that teacher’s are truly magnificent. I can recall so many of my teachers who influenced me in some way and now that my kids are in school I see what a positive impact great teachers have in their lives. I hope this teacher appreciation gift will show our teachers just how grateful we are for all they do! Super cute and great gift idea! Visiting from BFF party. So adorable! Any teacher would love this. Pinned and sharing. Thanks for sharing at the inspiration spotlight party @DearCreatives See you again soon. Love this idea! Circuit is a great tool! Never tried one. This is such a great idea! My kiddos have some awesome teachers, so I’m looking for great teacher appreciation gift ideas, and I’m definitely pinning this!